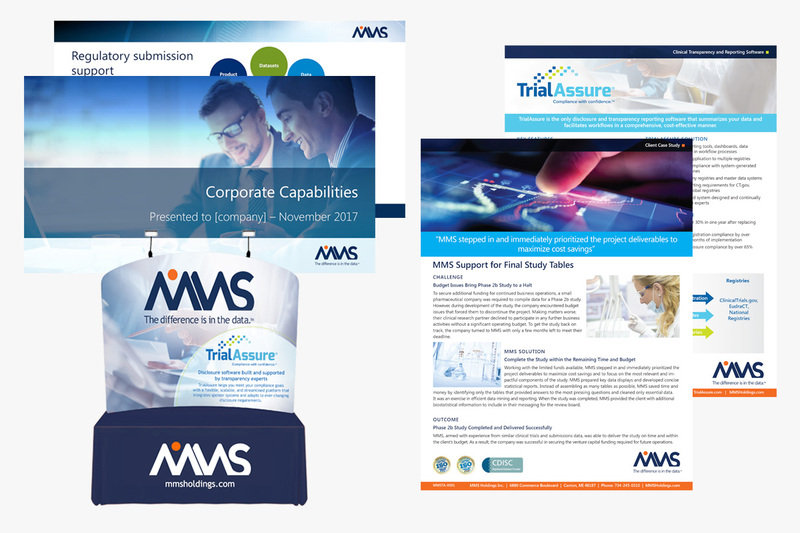 MMS is a clinical research organization that supports the pharmaceutical, biotech and medical device industries with a proven, scientific approach to complex regulatory submissions. 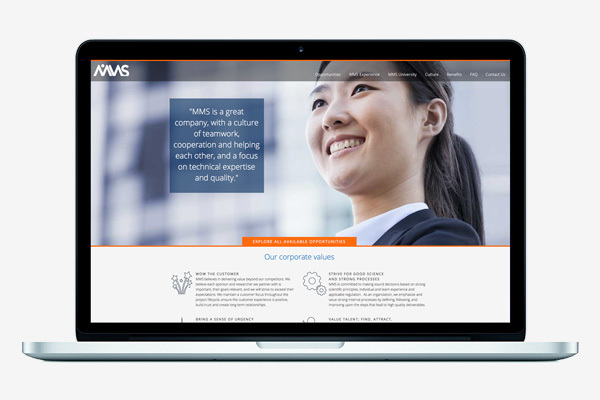 With significant brand equity among their current clients and plans to expand a growing global footprint, MMS needed to develop an updated brand that better reflected its current market position and future objectives. As a multi-faceted organization with a host of products and services, it was critical to create a comprehensive brand architecture that aligned the organization under a singular theme, AND provided a path for future services. We began with industry and competitive research, as well as internal discussions with stakeholders, to help shape the new positioning. This process revealed that a wholesale redesign of the brand could create market confusion. However, an ‘evolution’ of the brand would signal change while providing the foundation for the necessary brand architecture. We developed a range of creative approaches that demonstrated degrees of change, and relevant sample applications to show how each concept could be adapted and extended. 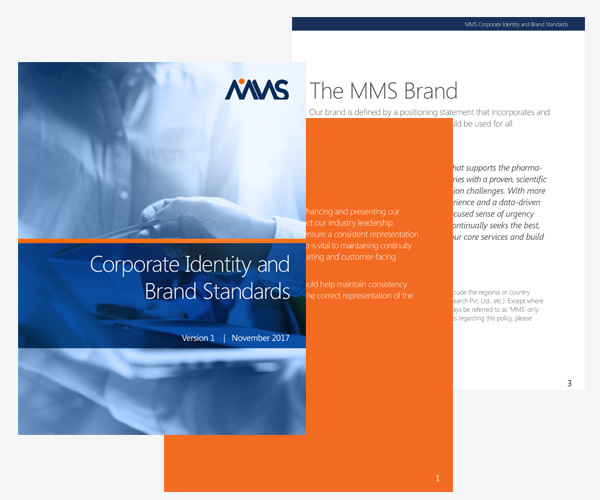 In addition to logo and visual applications, we developed brand positioning and a tagline (The difference is in the data) to exemplify the MMS brand differentiation.